The Redragon Phaser is a 3200 DPI entry-level gaming mouse with 500 Hz polling and 8mm backlit scroll wheel. 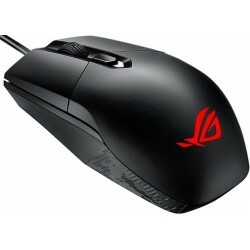 A widened scroll wheel with ribbed protector makes the mouse easier to control than ever. 6 programmable buttons provides ample customisation to meet the user's needs. Elongated teflon feet ensures excellent gliding and mouse movement. Coupled with balanced feet height and optimal placement, the mouse moves strictly horizontally and is stable even at high speeds. Cursor speed can be adjusted and 4 customisable DPI levels are supported.